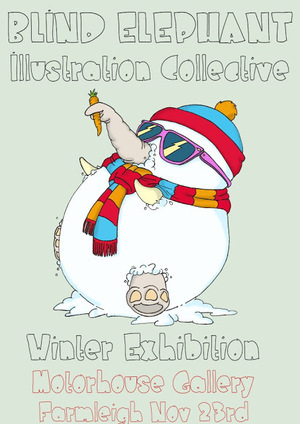 Just wondering if you could give our illustration exhibition a plug today sometime – it’s in the Motorhouse Gallery in Farmleigh House, Phoenix Park [Dublin] and features work by 9 Dublin based illustrators. All of our previous Dublin shows have been in the Bernard Shaw, so this is a real step up and would love for people to come, it looks amazing! We’re also selling Christmas cards, all proceeds from the cards will go to Barrretstown. Opens this evening at 6.30pm – a perfect time to start horsing into free plonk – and runs till early January. Posted in Misc and tagged cards, Illustrations at 1:21 pm on November 23, 2012 by Ewok.